And I'm like, "Yeah, yeah"
And you're like, "Nah, nah"
And I'm like, "Hell yeah"
Why you don't got any questions? Why you think I'm off the path? 'Cause I used to love the bottle? So let me light up this blunt and if they hate, so what? When it's said and done in the ending when we all screwed? 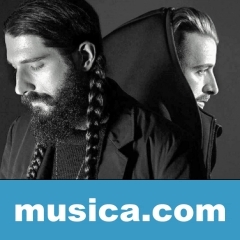 TEMPLE PRIEST es una canción de MISSIO y Kota the Friend & Paul Wall del año 2019.